Optimize Worldwide is pleased to announce that the City of Redding has awarded us the honor of becoming their Public Relations and Communications partner in 2016. 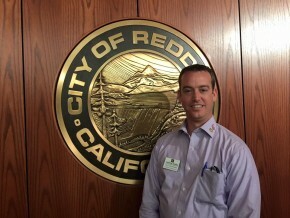 Our team is excited to come alongside the City of Redding and to offer our expertise to them. We consider this an excellent opportunity to serve our community and encourage positive communications about the City’s initiatives, resources, and objectives. Optimize is dedicated to the success of the City of Redding. Optimize Worldwide, led by CEO and founder Matt Morgan, dedicated over 500 hours to local nonprofit organizations during 2015. We’re pleased to continue that legacy with the City of Redding. Our city is a growing community of economic, residential, and recreational opportunities. Optimize is an online marketing company based in Redding. With our staff of local individuals, we’ve serviced many local and national business with online marketing and web design. We stay on par with online communications trends and implement those strategies on behalf of our clients. We look forward to doing the same for the City of Redding. At its meeting on October 6, 2015, the City Council directed staff to develop and issue a Request for Proposals (RFP) for selection of a private public relations/marketing firm to provide assistance in disseminating information about City initiatives and accomplishments. Envisioned is a public/private partnership in which the outside agency would be “proactive” in disseminating information via a variety of media platforms as well as training City staff in utilizing its own social media accounts. A not-to-exceed monthly cost of $2,000 and implementation for one year was stipulated. The three proposals were reviewed and ranked by an evaluation panel consisting of City of Redding staff: Deputy City Manager Greg Clark, GIS Supervisor Devon Hedemark, and Development Services Director Larry Vaupel. The review also included presentations from, and interviews with, each firm on January 4, 2016. At the conclusion of the review, the panel unanimously ranked Optimize as the preferred choice. Optimize was founded by Matt Morgan, its chief executive officer, in 2011 and specializes in websites and online marketing, including social media. The firm helped develop the Redding Police Department website and provides ongoing volunteer support. Mr. Morgan also has volunteered his time to help establish and maintain the City’s Instagram account. Provide an evaluation of the effectiveness of the initiative at the end of the 12-month contract period. It should be noted that all three proposals placed significant emphasis on training key City staff in the implementation of social media sites and their use on an ongoing basis, rather than the consultant acting as the sole disseminator of information on behalf of the City. They noted the time requirement, and expertise, to be fully versed in all City-wide issues requiring publicity would far exceed the funding committed for the initiative.